won’t even notice they are learning new skills and facts! what days, AM/PM session, in whichever weeks works for you. 5 days a week am or pm sessions: $185.00 a week. 3 days a week am or pm sessions: $125.00 a week. more camps. The discount will be applied to the second and consecutive camps. items need to be label with name and last name. 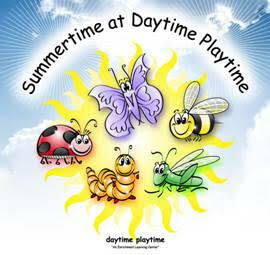 join Daytime Playtime to have a great fun summertime!